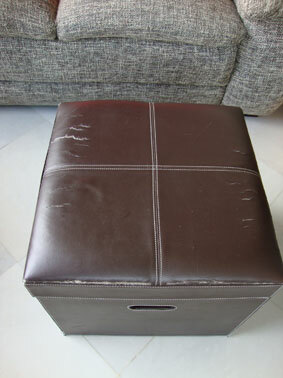 Remember the first leather stool? Pretty cute together don’t you think? Have a good day my friend ! Very nice! I like them both but I am excited about the lovely bright colours of your man’s one! Stunning. I love them both. 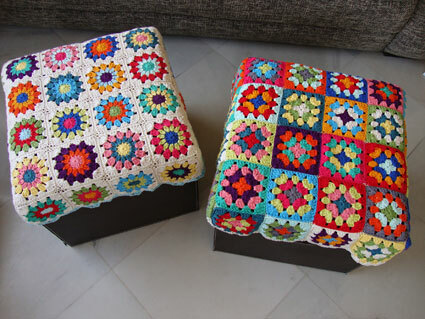 his and hers crochet stool covers! Love it! Lovely! I like the fact that they’re not the same! So cheerful – love it! Have a good weekend. 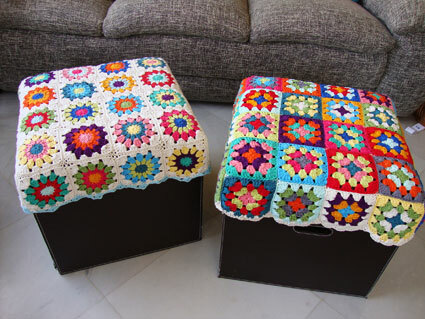 What a great way to repurpose your stools. They really are beautiful. 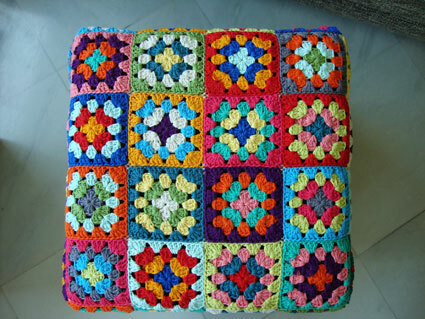 I love the granny square too. 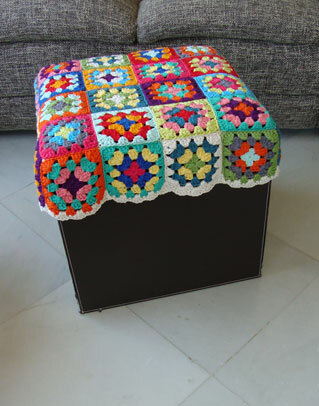 What a creative way to jazz up the stools. They look great!! WOw! That’s so cool! They look soo much better now! 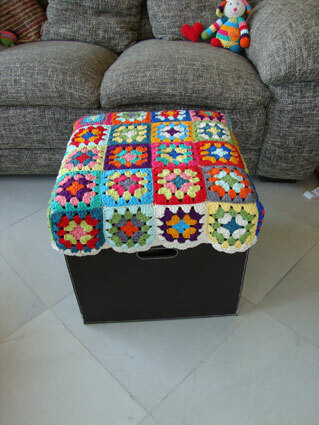 I did not attached them to the stool! Sooo awesome!!! Colors are fabulous!! Do you have a pattern?